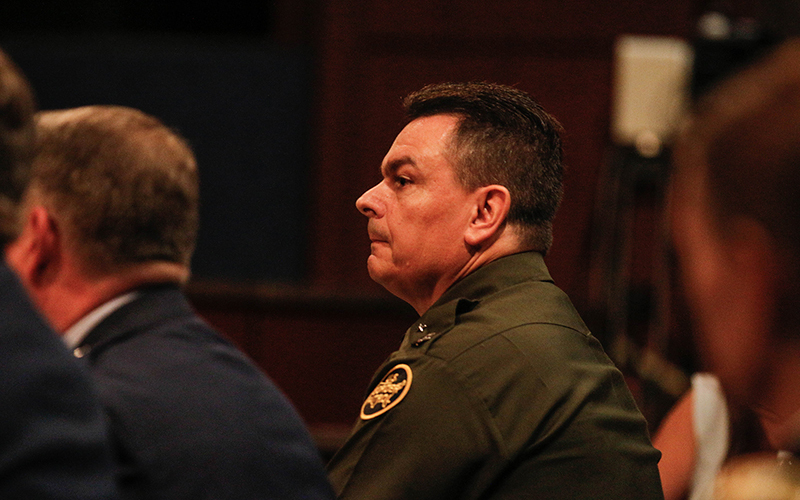 WASHINGTON – The chief of the U.S. Border Patrol’s Tucson sector told a congressional committee Tuesday that the deployment of more than 600 National Guard troops to Arizona’s border with Mexico has had “tremendous value” for border agents. 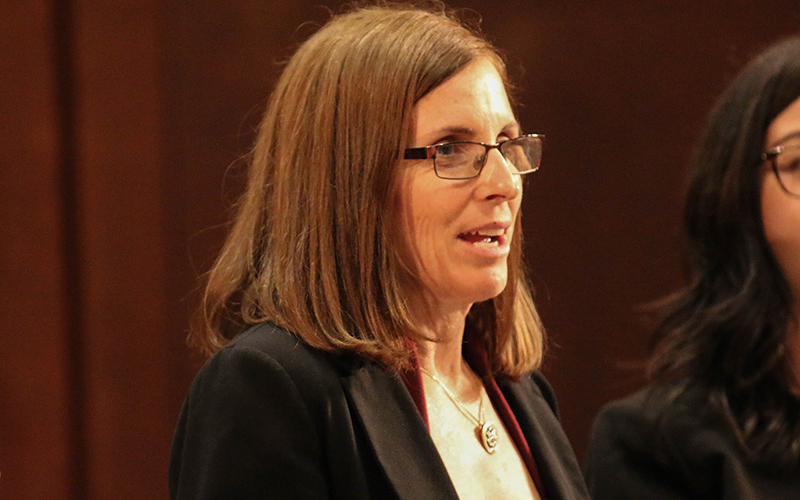 His comments came during what Rep. Martha McSally, R-Tucson, called a “how’s it going” hearing into the deployment of National Guard troops to the Southwest border that President Donald Trump called for in April. The president authorized the deployment of up to 4,000 guardsmen to help fight illegal immigration “until we can have a wall and proper security” at the border. That number was later reduced to 2,000 authorized using Title 32, under which the federal government agrees to pay for the deployment. But Rep. Filemon Vela, D-Texas, criticized the deployment as a “horrendous idea” in which time and resources are being “misspent on political show.” He said that sending the guard to the border sends the wrong message about the immigration situation. “When you speak to some of the Border Patrol, there’s an assumption that everyone they encounter is an enemy,” Gaubeca said. But Karisch said National Guard troops have helped relieve the understaffed and over-worked Border Patrol, which is thousands of employees below congressionally mandated staffing levels. By putting guardsmen in areas like aviation and camera surveillance, more Border Patrol agents are able to get out in the field, he said. They have also helped with more mundane tasks like vehicle maintenance, doing repairs in two days that would normally takes agents weeks to complete. Karisch said that National Guardsmen at the border don’t come into contact with migrants and don’t even participate in ride-alongs. But they have still contributed to the confiscation of over 11,000 pounds of marijuana, as well as various apprehensions of cocaine and heroin. 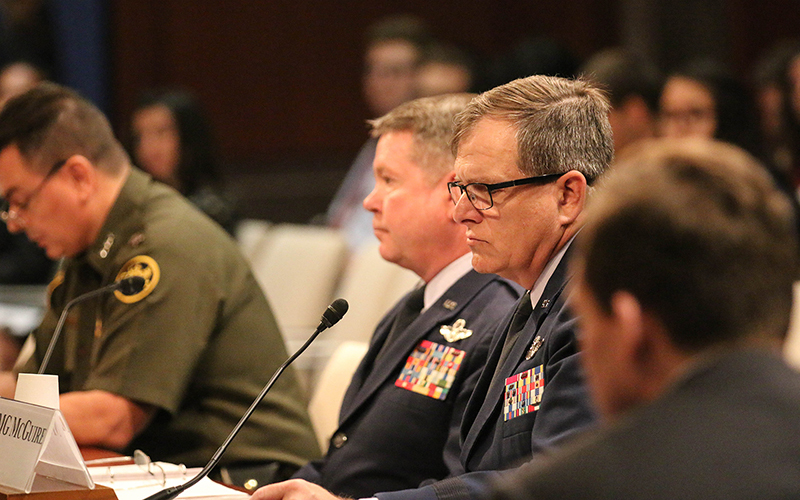 The effort is funded only through the end of this fiscal year and all three witnesses at the hearing – Karisch and adjutants general from the Arizona and Texas National Guards – said that they support further funding. But when Rep. Cedric Richmond, D-Lousiana, asked what “mission accomplished looks like,” the three were at a loss for words. After the hearing, Maj. Gen. Michael McGuire, adjutant general of the Arizona National Guard, said that the answer to Richmond’s question is “not a decision that the general officers or uniform personnel make,” adding that it’s their job to follow orders from the administration. But Karisch said it’s more than “simply an immigration matter,” citing the case of 284 pounds of marijuana and six individuals apprehended because of one guardsman’s aerial surveillance of the border. -Cronkite News reporter Pat Poblete contributed to this report.